Biting Tongues were formed in 1978 to improvise a soundtrack to the screening of a 16mm experimental film of the same name at Tony Wilson's original Factory Club in Manchester. A core membership was soon established that was to last until 1984: Howard Walmsley (sax) Ken Hollings (texts), Eddie Sherwood (drums,) Colin Seddon (bass) and 808' State's Graham Massey (guitar & noise). 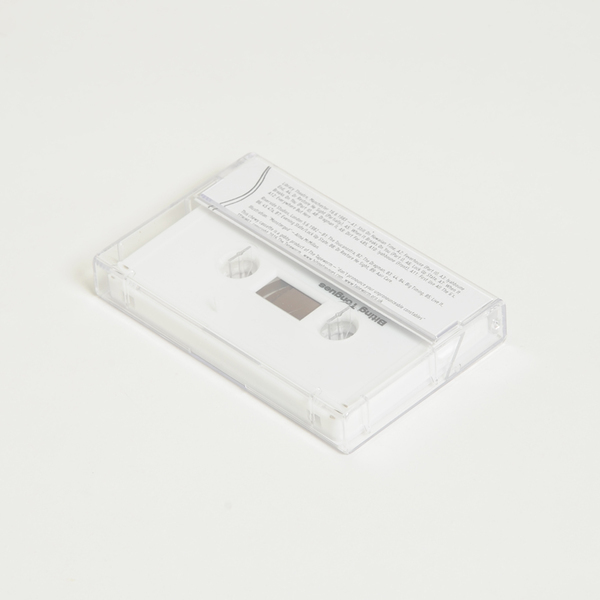 "Their performances, an unpredictable 'post-punk avant-funk' mix of spoken word, percussion, random tapes, films and freeform soloing, were mostly confined at this time to clubs in Manchester and London. The release of their first three albums 'Don't Heal', 'Live It' and 'Libreville' between 1981 and 1983 widened their audience, and Biting Tongues found themselves performing more and more in theatres, arts venues and galleries. 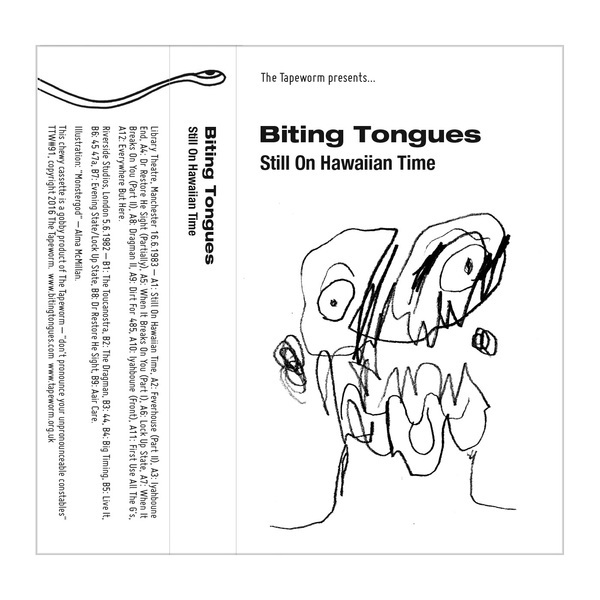 'Still On Hawaiian Time' captures two Biting Tongues performances from this later period. The Library Theatre in the centre of Manchester was a large seated venue with an even larger stage, meaning that the group members could spread out more and incorporate additional percussion, tapes and electronic devices. It also shows Biting Tongues cutting up and rearranging themes from different recordings, allowing for the free play of existing material - the performance also anticipates their work on 'Feverhouse': their full-length experimental feature film released in 1984 by Factory Records' video offshoot IKON, together with a soundtrack album as FAC 105. 'Feverhouse' had its first London screening at the Riverside Studios in Hammersmith as part of Factory's residency there in the summer of 1984. Biting Tongues had played the same venue three years previously at a time when they were beginning to expand and broaden their sound. The improved facilities available in a theatre venue, including greater space, better acoustics and more time for a sound check, meant that Biting Tongues could concentrate on the performance, producing some of their most aggressive and demanding work. During the early 1980s Biting Tongues excelled as a live band, always seeking to challenge both themselves and their audiences. These two recordings are fascinating documents that conveysome of the immediacy and commitment of their performances - something that can still be felt in these old tapes some thirty years after they were first recorded."